When Jeff Rattray was in grade school, his father brought home an Apple II computer. Rattray immediately became fascinated with technology. He spent a lot of time reading through the computer manual and studying how it worked, and it didn’t take long before he was running the device more efficiently than his father had. 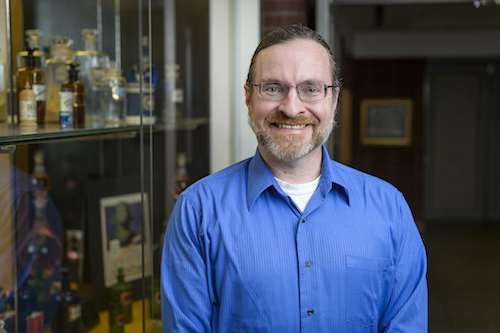 Now, Rattray serves as the manager of web-based instructional technology for the Purdue College of Pharmacy, where he has worked with computers daily for the last 16 years. 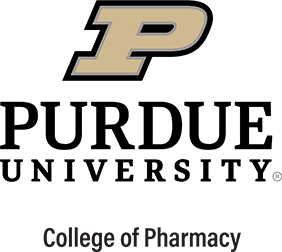 What do you do as the manager of web-based instructional technology for the Purdue College of Pharmacy? That’s the job title that I was hired under almost 16 years ago, and it really doesn’t do a good job of describing the work that I do today. On a practical basis, I am now the senior systems administrator and the primary webmaster. I am in charge of creating all of the websites, setting them up for other people to access and update, maintaining the databases and servers behind the websites, writing all of our online applications and more. With my colleagues, I also maintain the file servers, mailing lists, lab servers, and the backup systems. Basically, I work with the big computers that support the College of Pharmacy. My colleagues and I work to keep the whole College of Pharmacy up and running. We are the behind-the-scenes people that keep the gears turning and support all of the internal works. You can’t always see us, but we are here to solve the technical problems that other people may not understand. There’s a reason why I’ve kept this job for so long. It’s because I like what I do. I am allowed to work and do my job without too much supervision, and I always feel like my opinion is well-respected. I find enjoyment in solving technical problems. Occasionally, I get big projects to work on, and those feel like big puzzles that need solving. For me, it’s just fun to do. How are you involved with Boy Scouts of America? I was involved in Boy Scouts as a young boy. I was curious why everyone else in my neighborhood was coming home wearing these blue shirts once a week, which was why I decided to join. Now, because of my children, I am heavily involved in both Boy Scouts and Girl Scouts as an adult. I have created and run a couple of events for the Scouts, and I currently hold multiple positions such as troop leader and assistant scoutmaster. I have three kids, two sons and one daughter. The programs have taught me leadership skills, and have allowed me to spend time with my kids and watch them grow up. They have learned how to do so many things through their involvement, including how to build fires, split wood and camp. Beyond that, they are learning leadership and self-reliance.